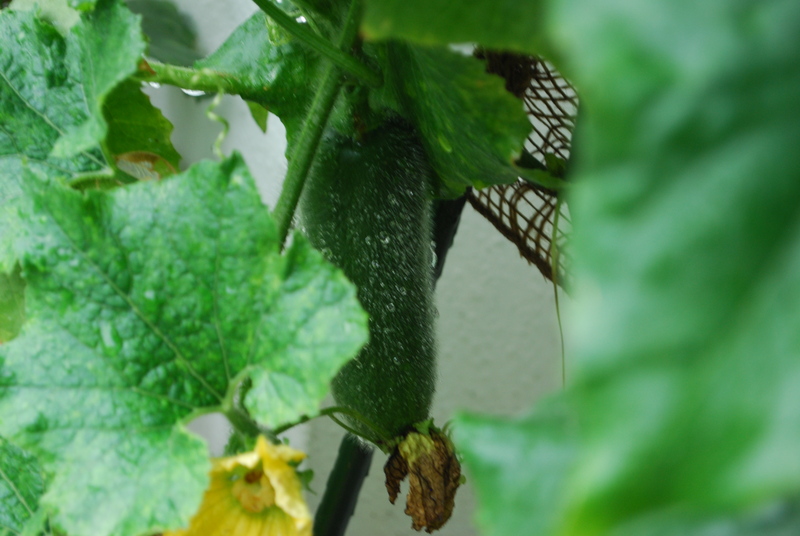 Remember my last set of wintermelons that didn’t survive? Mummy chopped them all off in the hope that we’d get new ones. We did. Here they are, after this afternoon’s storm. 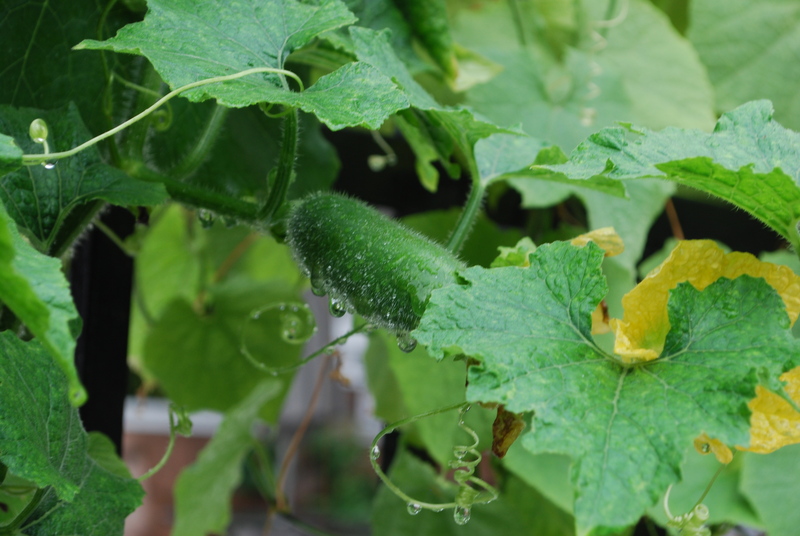 Novice Gardener gave us wintermelon seeds from her productive aunt. We were very happy, and excited, because these vines grew faster than a speeding bullet (Mummy said Ferrari, but that is very unkind). Then for the very first time in our Boy Garden, more girl flowers came out than boys! Mummy carefully shared the pollen from the boy flowers around. 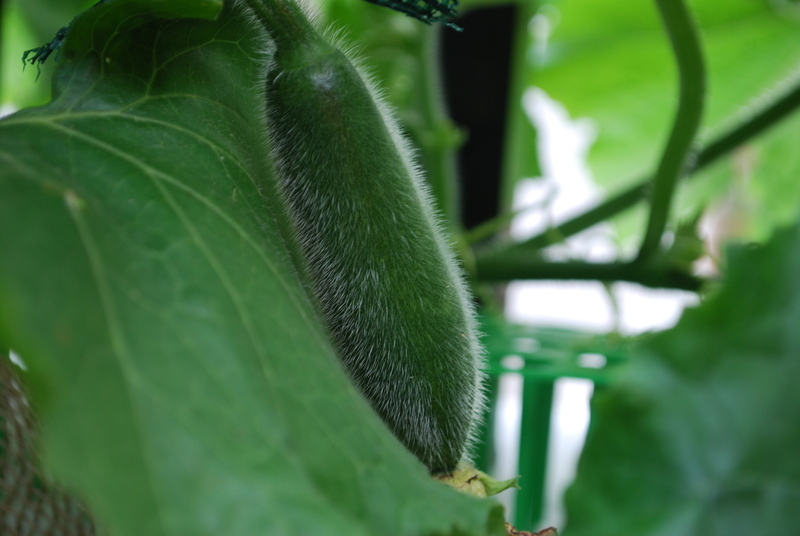 All the baby melons had a growth spurt! Then they stopped. Here they are. Have a look. They are all gone cases. See how droopy this one is? 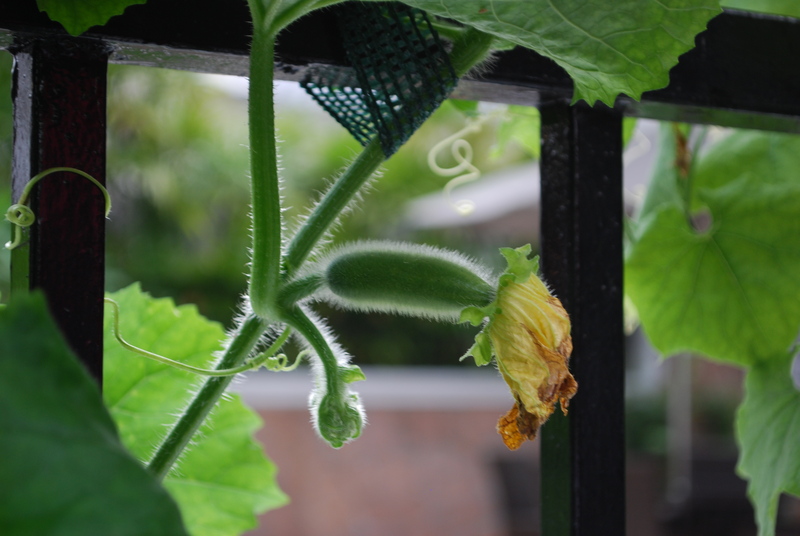 And if you look carefully, you are see that there are ridges on the flower end of the melon. That’s a bad sign. 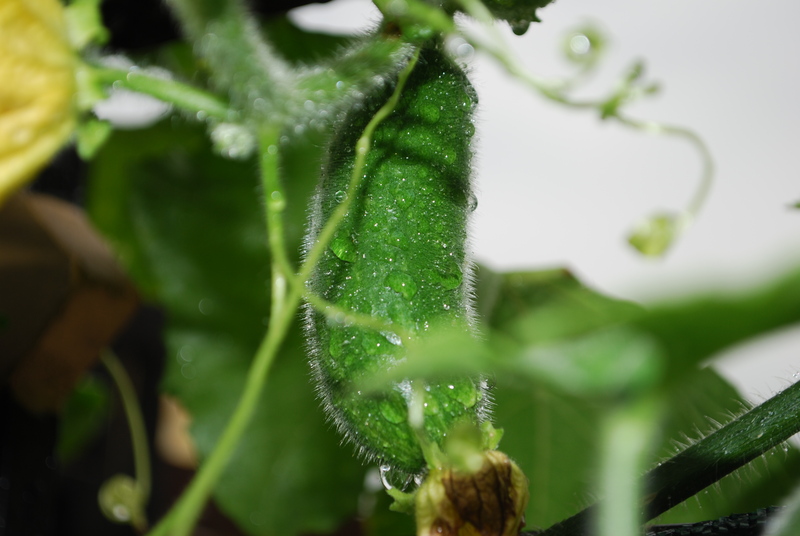 Now this was the first of the wintermelon babies. 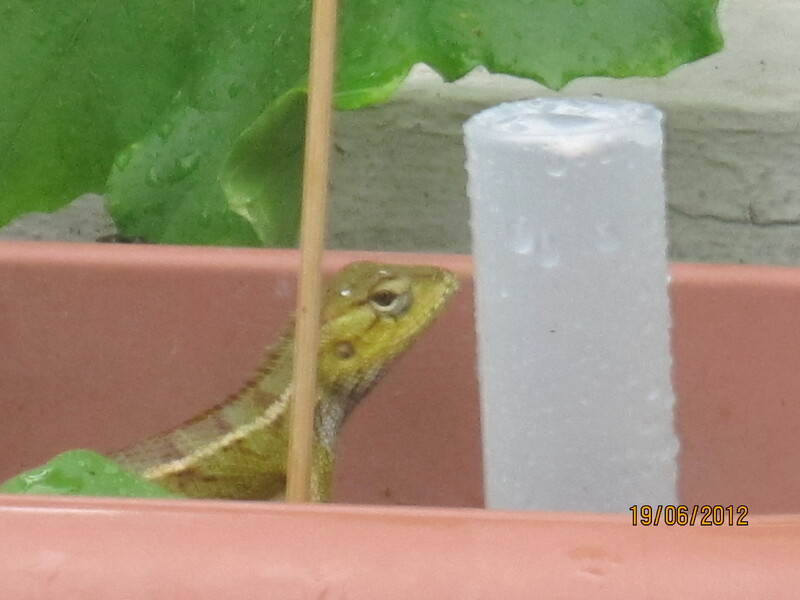 It is now about 10cm long. And it has stopped growing. If you look closely, you can see it’s getting lighter on the flower end. 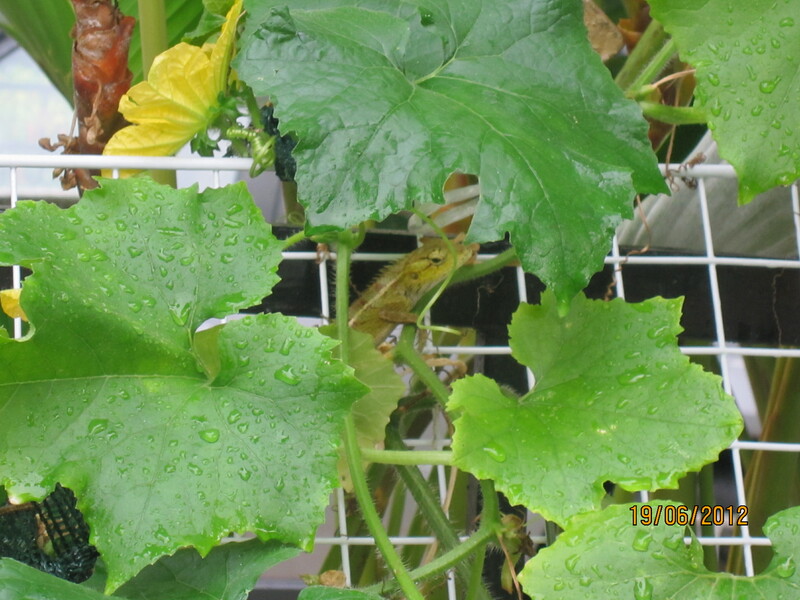 Then look carefully on the stem end – see the ridge? No good. This is probably the only one that may make it, although it has not grown for 2-3 days. Look at the stem end. See the slight shrinking? That’s a bad sign too. So you see, slow and steady does win the race! These speeding wintermelons are fakes! Novice Gardener had her snailfest. 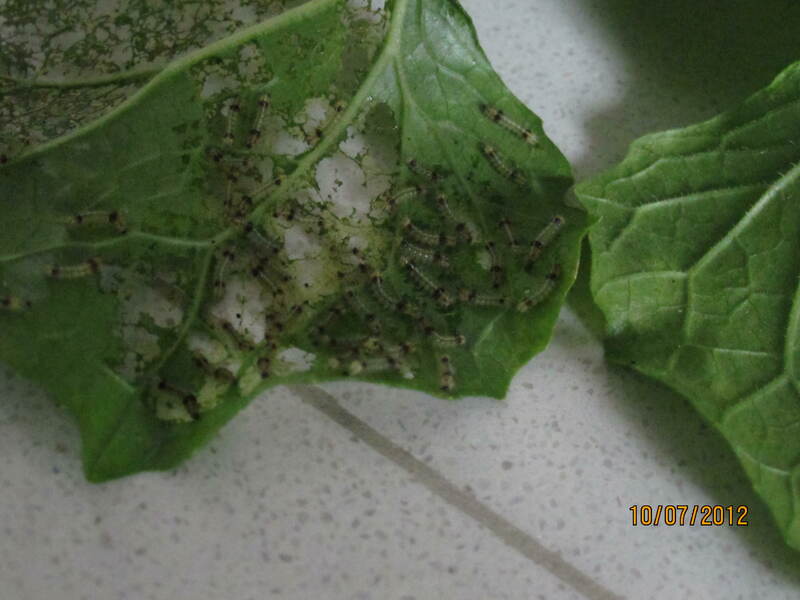 We have our caterpillarfest. 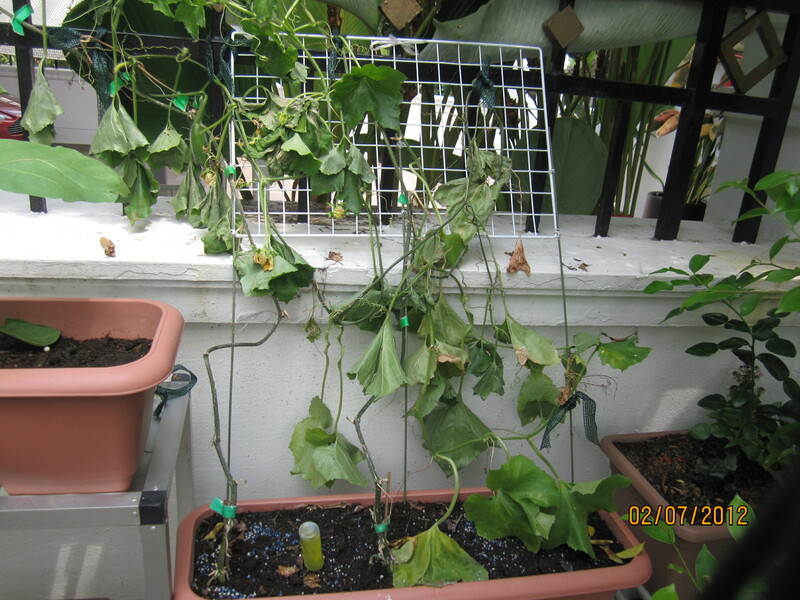 We don’t know what happened to our first 2 wintermelon plants. On Sunday morning they were all fine. 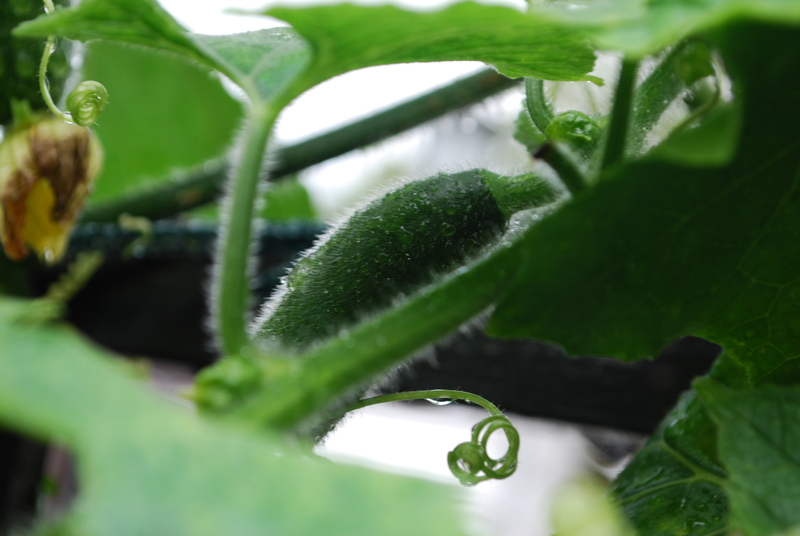 There was one strapping 1.14kg wintermelon on one vine, and a baby wintermelon (2″ long) on each of the other vines. By Sunday evening this was their sad state. Mummy has pulled them out because she cannot bear to see them like that. 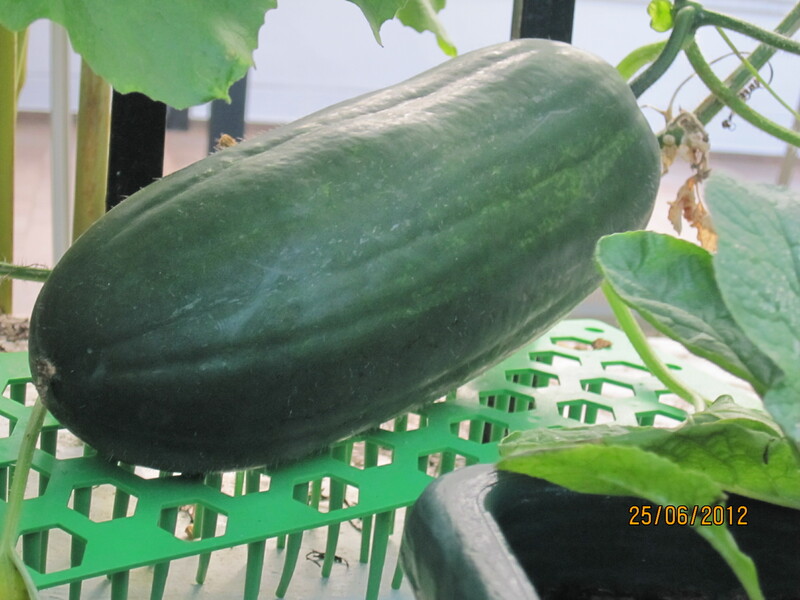 I have decided to harvest my remaining twin wintermelon (its twin was sadly chopped off by Mummy), on Tuesday 3 July in the evening. I want to give it to the kind CEO of the Gardens on the Bay who invited me to have a VIP preview. 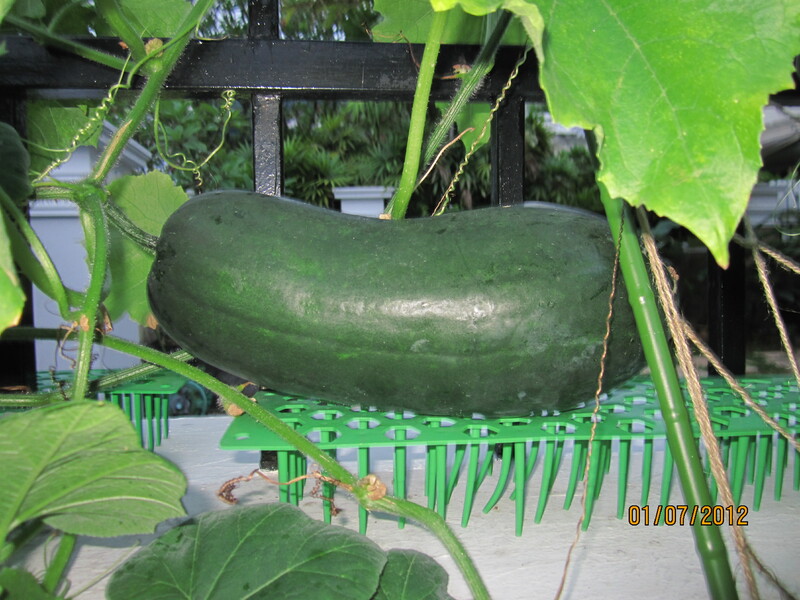 But before I harvest it, I am having a competition to guess the WEIGHT of the wintermelon. Anyone can participate, but please get your estimates (to the nearest gram) in by Tuesday 5pm. Daddy will audit the weighing in and the various entries, and we will announce the results sometime on Tuesday night (depending what time Daddy gets home). There will be prizes for best guess and worst guess and consolation prizes!!! We are not allowing family members to participate because Mummy says it is bad gardens government governance to have related party transactions and potential cornflakes conflicts. Something like that, anyway. It just means it’s unfair. She says it a lot about City Harvest Church. Just to give you an idea, here is a photo. Its length is 31cm and girth is 37cm. Godma and my Pediatrician have already sent in their estimates. My Pediatrician said she is an Expert and she can guess the weights of the newborns she looks after within 100-200g. Last night she estimated 2630g. This afternoon she estimated 1630g. She claims things weigh more at night than in the day. This must make the parents of the babies very alarmed I think. UPDATE!!! This competition is getting too competitive! Aunty E sent this sms to Mummy: “Based on the available data, my consultants say that it should weigh **** grams at precisely 5pm on Tuesday. However, they caution that’s subject to it snowing in southern New Zealand for at least 6 hours before then. My astrologers further add that the sun should also align with tomorrow’s Sun Ho’s headlines. And the black magic fellas are coordinating a hacker convention to ensure your weighing scale’s biasness towards our entry.” Does anyone understand this??? 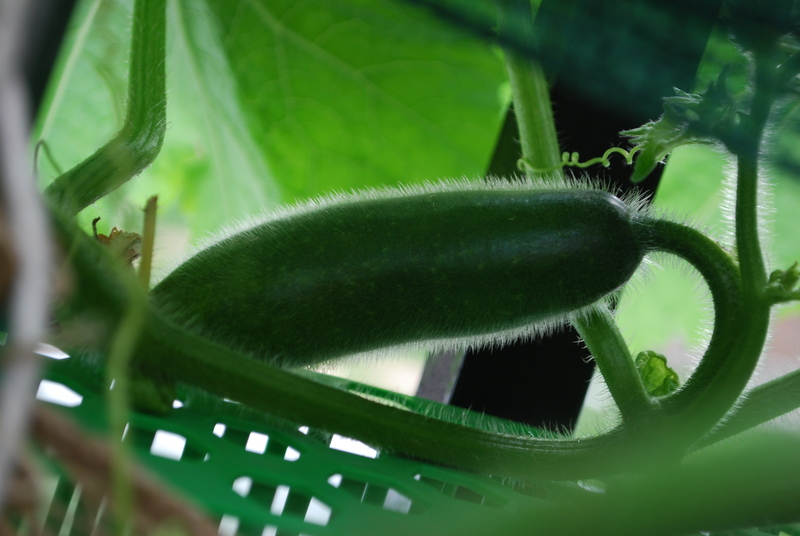 We finally have the model-shaped wintermelon (below). 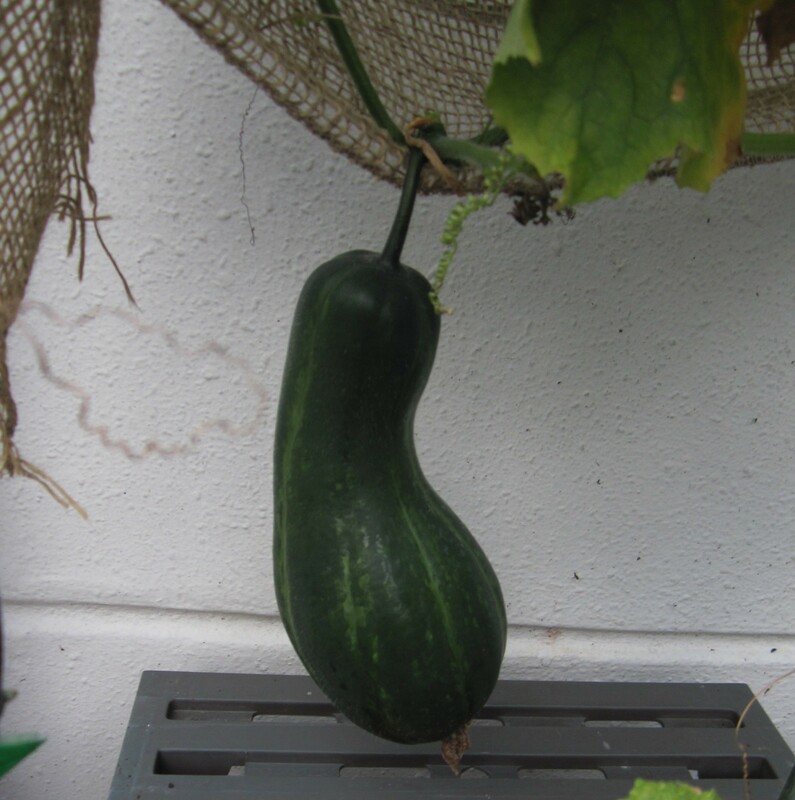 We also have another, almost model-shaped wintermelon, but I forgot to take its photo. The Big Sister plays something that is called the flight of the bumble bee on her cello. Her bumble bee must not be the speedy-type I suspect. Goodness, doesn’t it look like a snake from its belly side? 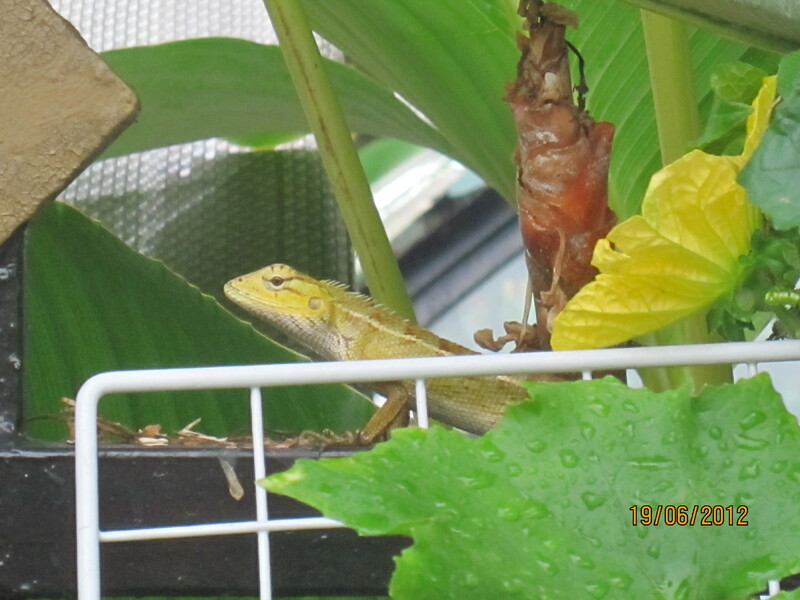 I went to a snake farm when I was in Thailand. Mummy screamed when one of the snakes escaped! So did 3 Japanese men. 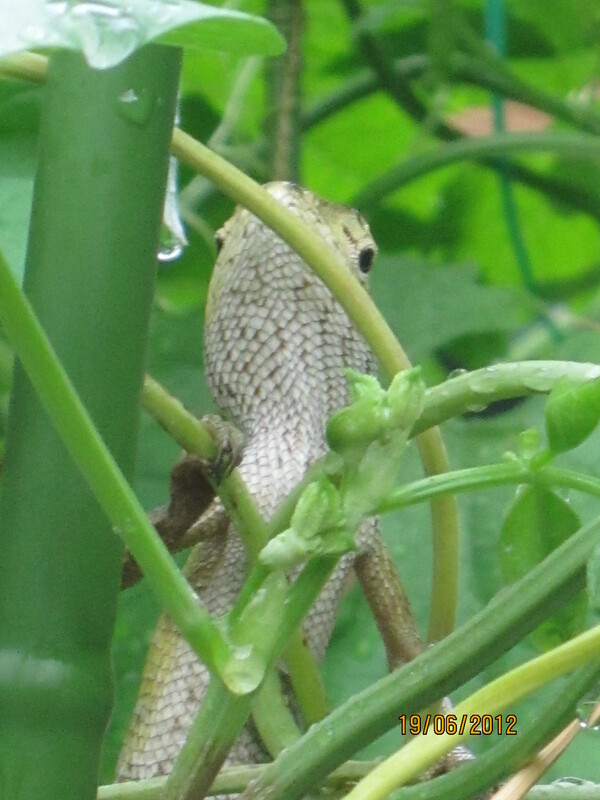 I was very quiet [Note from Mother Weed: snake got his tongue!]. And…. 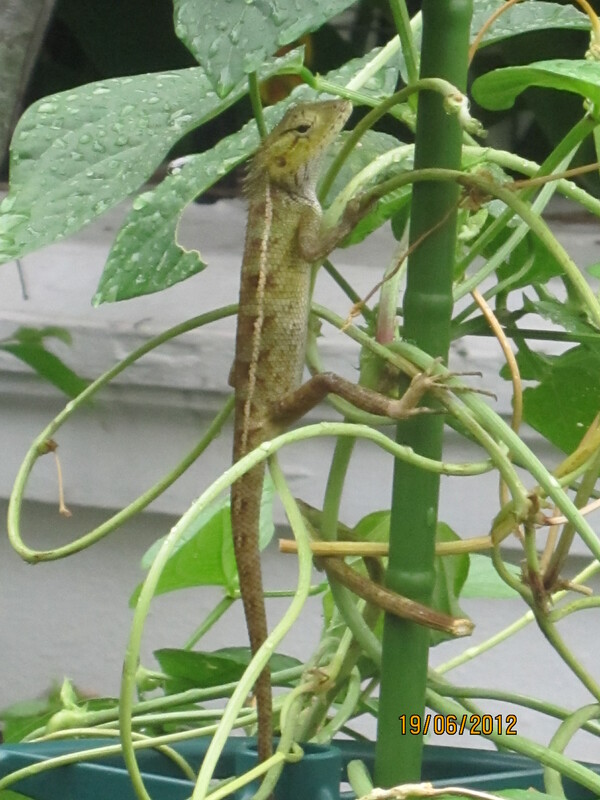 finally, here it is on the fence between our garden and our neighbour’s!